ROME — Canton baseball scored seven runs between the third and fifth innings as they beat NEB 10-2. Canton led 3-2 after one inning, then scored four in the third, a run in the fourth and two more in the fifth inning. Michael Smithers had three hits, an RBI and two runs scored and Ben Knapp had two hits and scored a run. Carter Route, Cameron Bellows, Joel Schoonover and Cooper Kitchen all had hits in the game. Kitchen scored two runs, Bellows had an RBI and two runs scored and Route had an RBI and scored a run and Schoonover had an RBI. Garrett Storch had an RBI, Ashton Huck had two RBI and a run scored and Nick May scored a run, while Byron Marnati had an RBI. Marnati started and struck out five in three innings and Smithers and Taylor Acla struck out three in the final three innings. The three combined to four hit NEB. Clayton Connor had two hits and scored a run for NEB, Collin Allis had a double and an RBI and Max Cooper had a hit and scored a run. Jesse Sink had an RBI. Lucas Crown started for NEB and Spencer Jackson, Cooper, Allis and Jordan Lynch combined to strike out five. The Black Knights scored seven runs in the fourth and four in the sixth on their way to the win. NPM led 2-0 in the first and added three in the third, before Towanda got seven in the fourth. 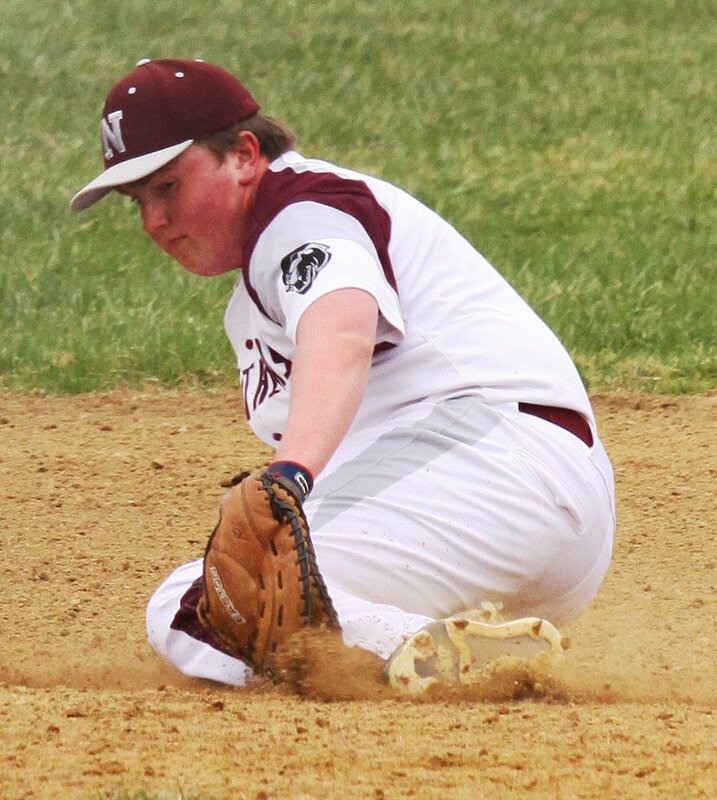 NP-Mansfield added a run in the sixth to cut the deficit to 7-6, before Towanda scored four in the bottom of the sixth. NPM got two in the seventh, but it wasn’t enough. Devin Dunn had three hits, a double, an RBI and a run scored and Zane Neubert had two hits, a double, an RBI and a run scored and Skylar Allen had two hits, a double, two RBI and a run scored. Dawsan Manning had two hits and scored a run and Preston Rogers had two hits, two RBI and two runs scored. Brett Crispell had a hit and scored two runs and Tanner Kunkle had a hit, three RBI and a run scored. Benjamin Haven Fee had a hit, an RBI and a run scored. Kunkle got the win on the mound, striking out eight in 5 2/3 innings and Ethan Sparrow struck out one in one inning. Brion Smith had a home run for NPM and Dylan Williamson had two hits and an RBI and Dylan Williamson had two hits and an R BI, while Logan Garverick had two hits and two RBI and Jacob Evans had two hits, an RBI and two runs scored. Brandon Choplosky had a double and an RBI and Gage Martin had a hit, an RBI and a run scored. Parker Brewster scored two runs and Cameron Fabian and Blaze Deitrick each scored a run. Logyn Choplosky, Bryce Wilson and Kyle Davis combined to strike out eight on the mound. 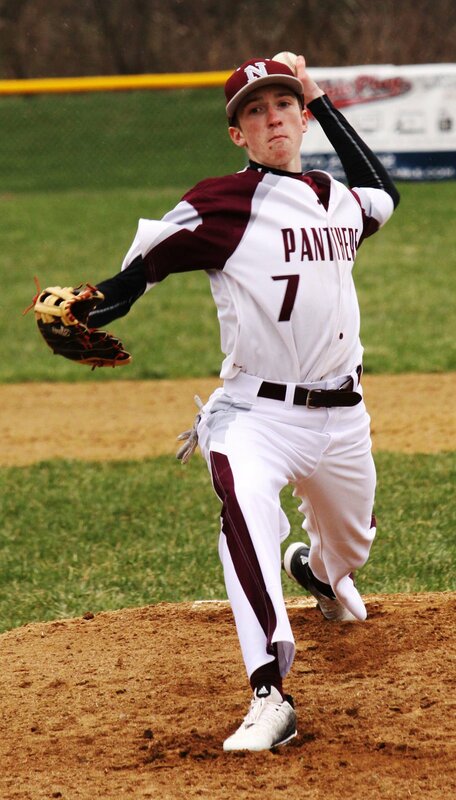 Tyler Williams threw a three-hit shutout, striking out nine in the victory. Williams also had two hits and an RBI and Dom Ayers had two hits and scored a run. Trevor Williams, Hayden Dewey, Josh Swain and Damien Landon had hits. Landon had an RBI and Trevor Williams scored a run. Nick Colton and Robbie Packard scored runs and Bailey Cohick had an RBI. Zach Shaffer, Chase Houser and Kevin VanDeMark had hits for Wyalusing. Jacob Carr and Mason McGroarty combined to trike out six for the Rams. Cole Jenner threw a shutout, striking out six in the win. Jalen McCarty, Colby Sindoni, Austin Ellers, Montana Davis and Ethan Stotler had hits for Waverly. Davis had an RBI and scored two runs and Stotler had an RBI and a run scored, while McCarty scored a run. Cole Jenner and Jay Pipher scored runs. The Indians got three hits each from Tucker St. Peter and Kurtis Easton in the win. Easton had two RBI and scored three runs and St. Peter scored a run and had two RBI. Seth Huyler had a double, two RBI and two runs scored and Christian Kemp had a double, an RBI and a run scored. Kade Sottolano had two hits, an RBI and three runs scored and Isaac Huntington had a hit, two RBI and two runs scored, while Ben Cooper scored a run. Caleb Nunn had a hit and Owen Fitzwater scored two runs. Fitzwater allowed just one hit, striking out six in three innings. Owen Gontarz had Williamson’s hit. The Wildcats scored seven runs in the first four innings in the win. Athens led 3-2 after the second inning and got three in the third and a run in the fourth. Wellsboro got three in the fifth to get within 7-5, but Athens scored four in the sixth on their way to the win. Nate Kennedy had two doubles and scored a run for Athens and Joel Maslin had two hits, with a double, four RBI and a run scored. Nick Watkins had two hits, an RBI and two runs scored and Keegan Rude had two hits, with a double, an RBI and a run scored. Kaden Rude had a hit, an RBI and a run scored and Ethan Witherow had a hit and scored two runs. Brady Smith had a hit, two RBI and a run scored and Chase Minnick had a hit, while Joe Parshall had an RBI. Billy Lechler had a double, an RBI and a run scored for Wellsboro and Silas Wagaman, Darryn Callahan and Carson Davis had hits and Davis and Wagaman scored runs. Isaac Keane had an RBI and a run scored and Cam Tennis, Zach Rowland and Brock Hamblin scored runs, while Taynton Repard had two RBI. Keegan Rude struck out six in 5 1/3 innings of three-hit ball and Minnick struck out two in 1 2/3 innings. Davis, Repard, Rowland, Keane and Lucas Citrino combined to strike out six for Wellsboro.